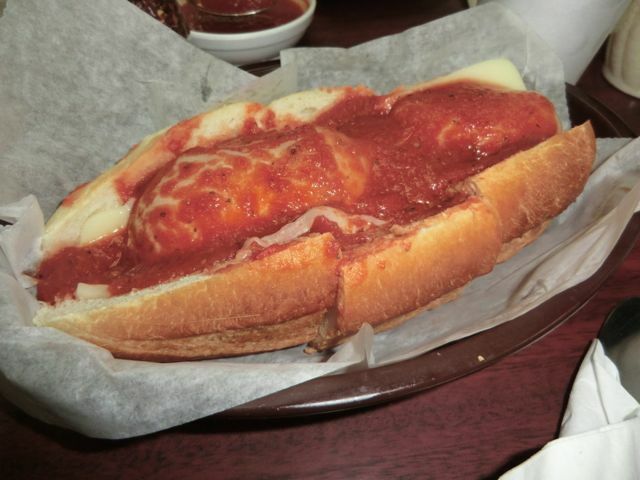 John Nigro started Sonny’s over 50 years ago. I just caught up with history! I confess up front…I did not find this place. 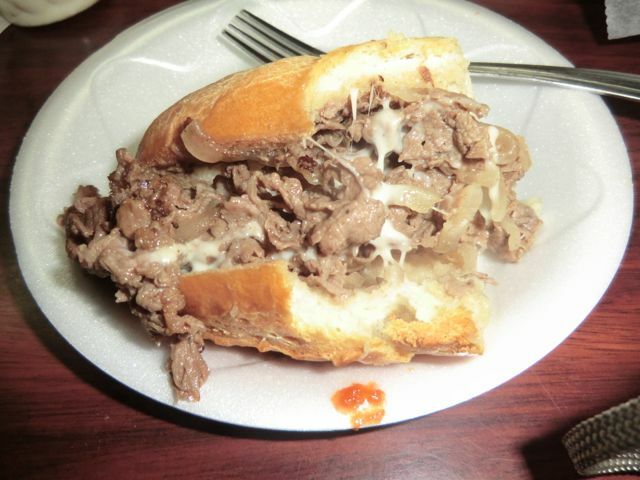 I heard about it while discussing, the best Philly Cheese Steak Sandwich on the planet, with a few of my foodie friends. 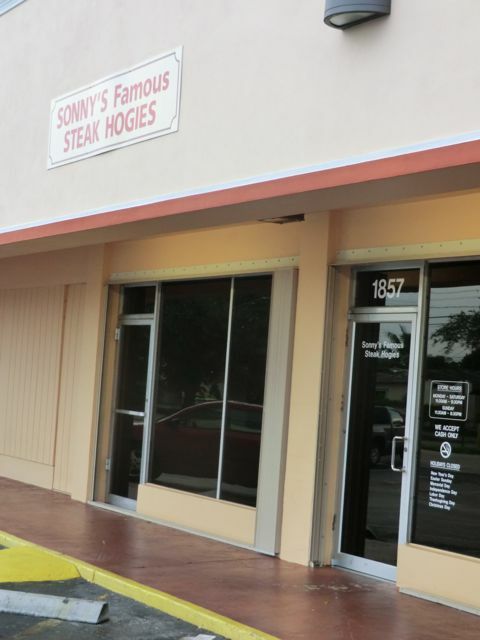 I lamented that we can’t get that in Florida and one guy quickly responded, “I know where you can get the best Steak Hogies.” So, when someone gives me a name I Google it and find out what the buzz is. That brought me to a video clip from Guy Fieri’s food show, Diners, Dive-ins & Dives (http://youtu.be/DLMP-eSEV8Y). If you’ve not seen this Food Channel show, it’s a hoot. Guy visits small food establishments around the country and chats with the owner/chef as they prepare their signature dishes for the time-lapse camera. Seeing that video was all it took for me to call some of my pals and head down to Hollywood to see for ourselves. 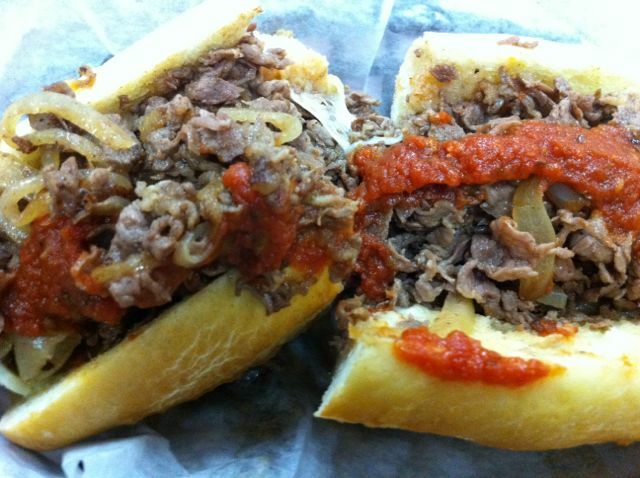 When you go…and you will…you just have to start with the Sonny’s Famous Steak Hogie. It’s a sliced Boneless Rib-Eye, cooked on a flat top, with or without onions and served with or without homemade sauce on a hogie roll baked fresh on premises every day. All four variations are numbered, but to understand the system will drive you crazy even after they explain why there’s a #50, 90, 95 & a 9. OK, I ordered a #90 – Steak Hogie, Plain with Fried Onions. The roll is slightly crispy on the outside, soft on the inside and holds up well to the meat and onions. Also a winner was the homemade meatball hogie, not numbered and the pizza, which is thicker than most I’m used to, but not deep, dish. This crispy pizza was loaded with cheese and sauce and we added some more of the meatballs. Believe me when I say that nothing was left! I’ve since been back for a second visit and was rewarded with another fine meal. 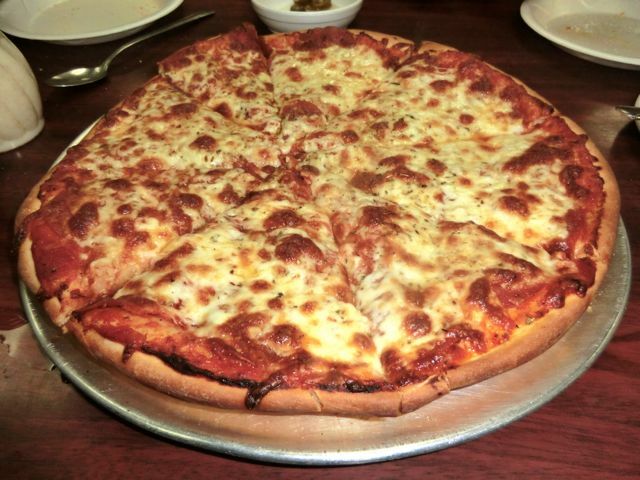 John’s son and daughter now run the place and from what people lucky enough to live nearby say… it’s still the best. And I agree! This entry was posted in American, Broward County, Casual Dining, Inexpensive ($25 & below), Owner/Chef and tagged Guy Fieri, Hogies, pizza, steak hogies by alanEATS. Bookmark the permalink.